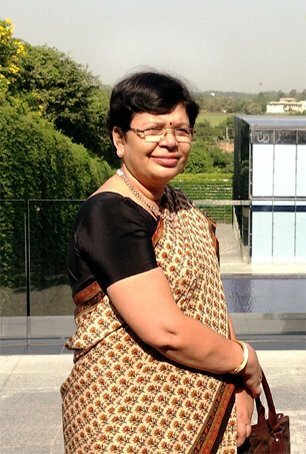 In the last 30 years, Manjari Sharma has been a mentor and inspiration for many students. During her long professional association with India International School, she demonstrated a strong commitment towards a student centric pedagogy and an impetus on holistic development. She was a pillar of strength as a member of the foundation team of the school and contributed selflessly to the growth of the institution taking it to nobler heights. She is a great motivator with a persona of integrity and diligence. As Vice Principal of the school, she was also instrumental in setting up ‘Gurukul’ in the year 2005 to provide equal opportunities to the girls of underprivileged families to obtain quality education and enter with pride in the educational spheres. Realizing the personal responsibility towards the betterment of the those less fortunate and to improve their quality of life, IIS Gurukul provides free education, books and uniforms to its students. Based in Jaipur, Manjari currently heads the Promotions, Advertising & Charity for Pioneer Journeys, an Inbound Destination Management firm. With profound knowledge of Geographical locations she is responsible for earmarking the potential markets of the Company for expansion and growth. She is also looking after the Charity work which the Company is undertaking out of its earnings. Her role as Digital Academy’s mentor is inspired from the twin crises of a shortage of jobs and a shortage of skilled talent. She believes that 'The best teachers are lifelong learners', and hence she tries to keep learning every day, be it from her colleagues, her students or anyone who she comes across during the course of her day.